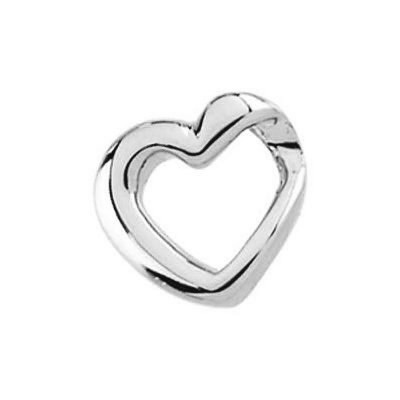 When you are looking for a simplistic look to add a little extra personality to your wardrobe or express your feelings for a loved one, this 14K white gold open heart slide pendant from Apples of Gold Jewelry is the perfect choice! The pendant is made from 14K white gold, and the polished finish makes the heart pendant look as though it can capture the light, no matter where your day might take you! The open heart design adds a touch of sweetness that will look great with any chain you might choose. The pendant measures 0.40 inch in size. We guarantee our 14K White Gold Open Heart Slide Pendant to be high quality, authentic jewelry, as described above.